People who wear a leg prosthesis always keep an eye out for carpet edges, scattered children’s toys or curbs. There is a constant risk of stumbling and falling. 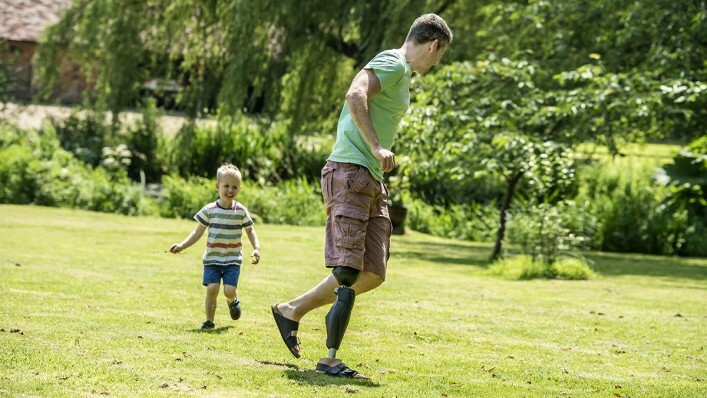 To significantly reduce this risk, our engineers have combined the latest technical developments with our decades of expertise in constructing prostheses. The result is a unique and effective Stumble Recovery in all of our microprocessor-controlled knee joints, which has been demonstrated to reduce the risk of falling by up to 64%. 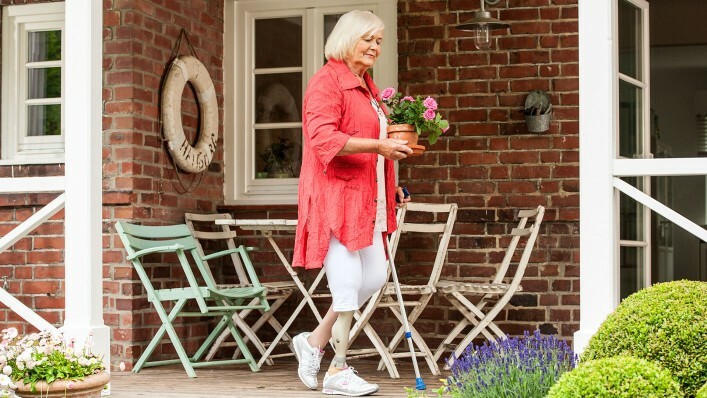 Whether you’re walking slowly or quickly, taking big steps or small ones, walking on stairs or slopes – Ottobock’s electronic knee joints significantly minimise the risk of falling thanks to their unique Stumble Recovery. Find out more about our innovative Stumble Recovery and the differences between the microprocessor-controlled knee joints. Sign up for a now. Does your desire for safety take top priority for you? 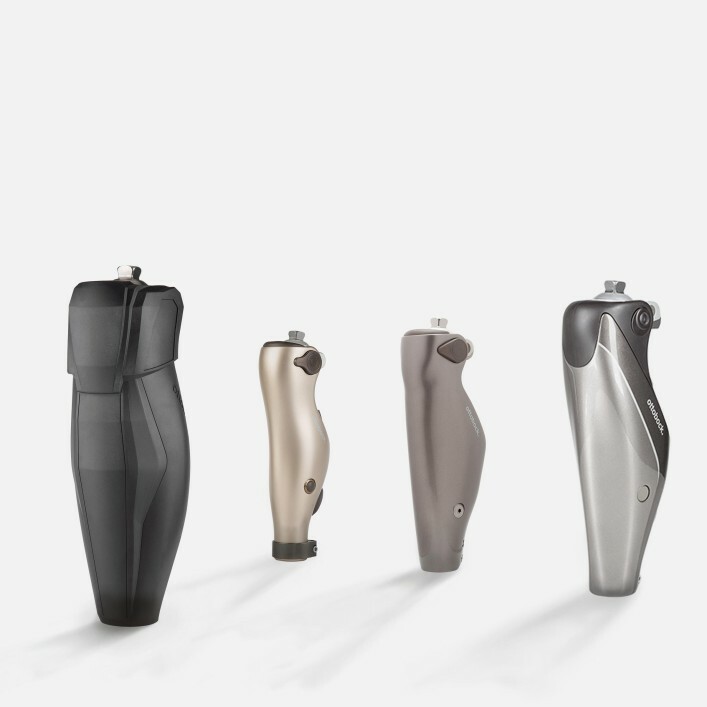 Put your confidence in the Kenevo knee joint’s unique Stumble Recovery and expand your range of movement in your home and garden, step by step. how much easier it makes simple everyday tasks. 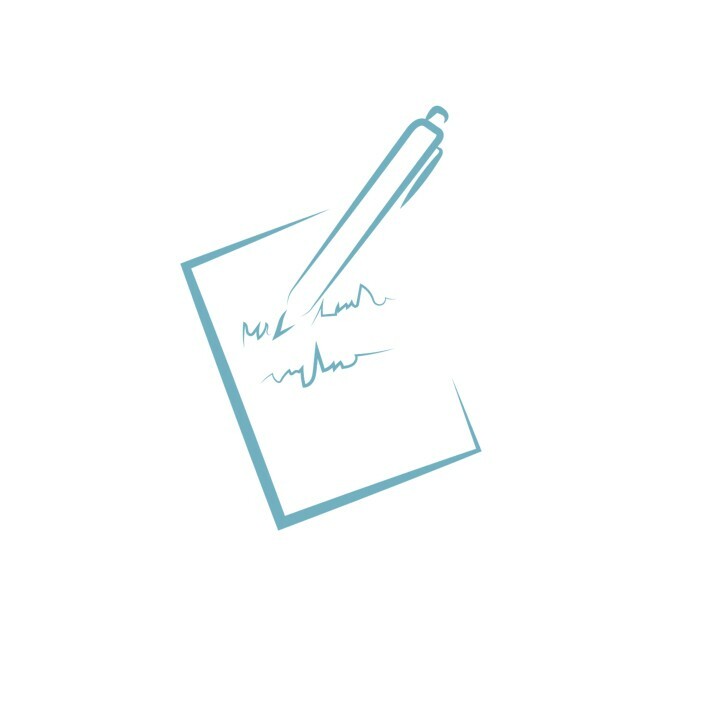 Do you want to focus on those working with you rather than your prosthesis or the terrain? Whether inspecting a building site or working on the farm – the C-Leg 4’s electronic Stumble Recovery puts you on equal footing with those around you. This unique function is proven to make your life safer and less complicated. Do you love following your four-legged friend’s keen sense of smell beyond the official trail and across rough terrain once in a while? No problem, thanks to the electronically controlled Genium knee joint’s unique Stumble Recovery. Because this feature makes you and your dog equal partners, even on demanding terrain. how it feels to master situations like this again. Do you consciously curb your enthusiasm when playing with your children and grandchildren because you’re afraid of falling with your prosthesis? Rely on the Genium X3 knee joint’s integrated Stumble Recovery and discover a new side of yourself. 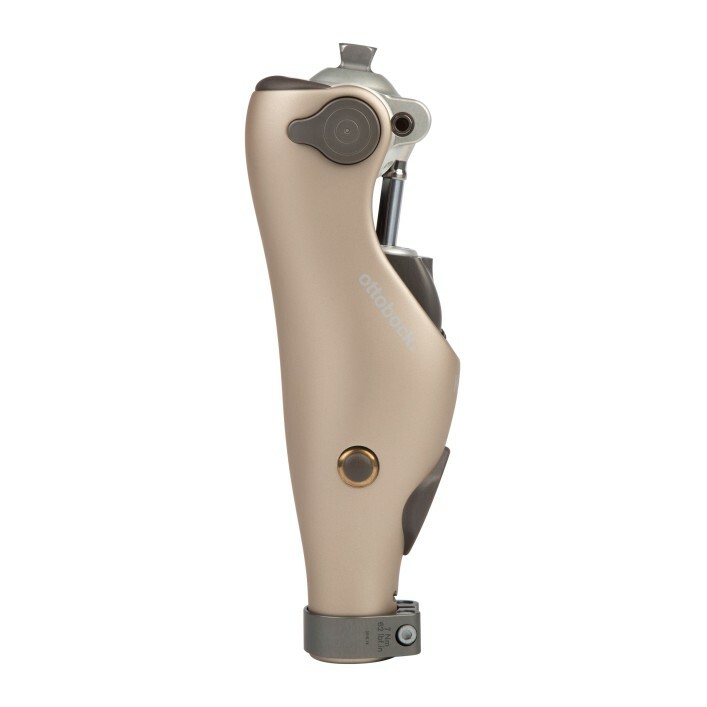 This unique function recognises the stumbling process and responds by immediately damping your knee, thereby preventing a fall. 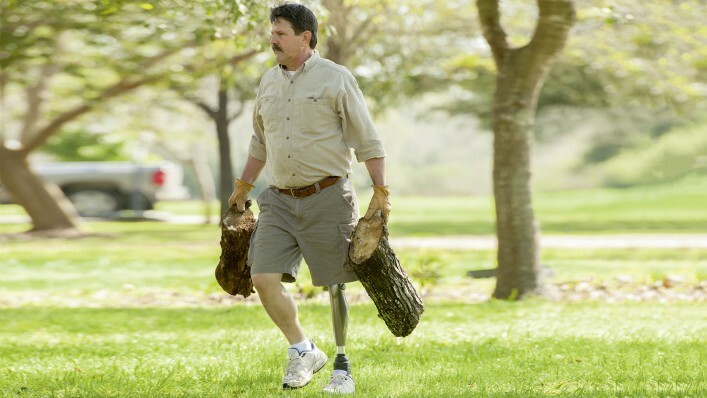 The Kenevo’s Stumble Recovery supports people with a high need for safety in particular. With the Kenevo, you can regain your confidence and expand your range of movement in your home and garden, step by step. 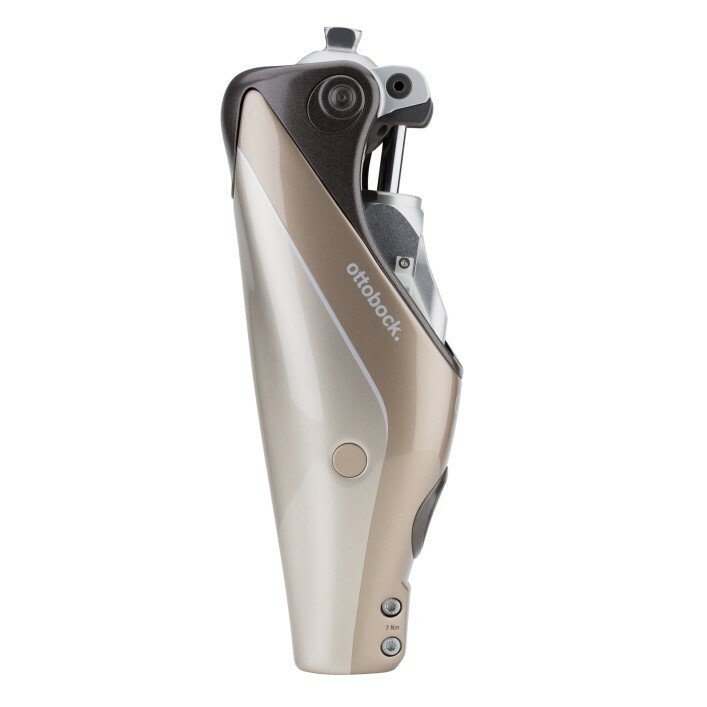 Proven by clinical studies: The C-Leg 4 reduces the risk of falling by up to 64%. This lets you focus on your surroundings and the people around you and reclaim your determination. The Genium knee joint makes nearly natural movement patterns possible for you. One of the Genium’s functional highlights is its highly effective Stumble Recovery. This feature lets you explore new paths yourself. The X3’s unique Stumble Recovery significantly reduces your risk of stumbling and falling during both simple and demanding movements. This feature is for everyone who wants to accomplish a lot in their job, family and leisure time.